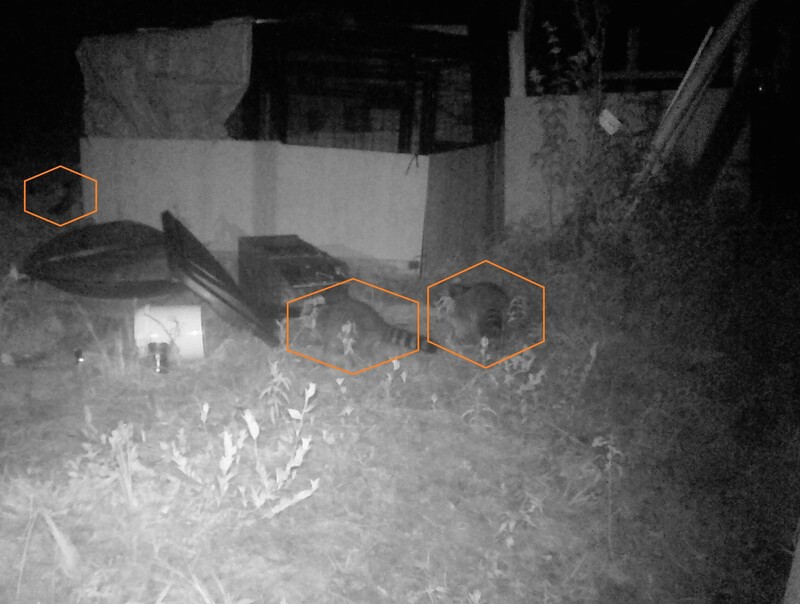 Three raccoons in one frame – how bad is that (taken with game camera BEFORE fence)? We did take aggressive measures to eradicate the population with traps and shooting but also added electric mesh fence from Premier 1. Provide a perimeter deterrent to prevent raccoon and possum getting to ducks and chickens on pasture in chicken tractors. We were new to electric fence – totally new. This was excellent. The chat box facility on the site was run by knowledgeable people who guided me through what was needed. One good sign was that they guided me away from a more expensive energizer to a cheaper one that they said was better for my needs. Fast delivery with tracking set up by Premier 1 (this is a small thing, but some companies fail on this tiny but important item). The energizer as very well packed. The fence was well packed but got pretty mashed by UPS. I would put 100% blame for this on UPS as the packing was not flimsy. We purchased the PRS-B 50 solar kit. The energizer has been on line for about a week. It was so simple to set up for a first timer. Every morning I tested the net and it was “cooking” (with no predator penetration), so the box was happy powering the mesh all night with pretty heavy weed load (it was in August Texas sun, as a side note). The kit came with a line tester that is terrible. The LED are all but invisible in Texas summer sun. They are only visible at dusk and dawn. Not a good product. The inner packing contained a repair kit. We installed the fence around birds for the first time and was a little concerned as it seemed too easy. Reality – it was easy. As I was working alone the 164ft fence was a little bit to handle, not heavy, just a bit to organised first go. A few days later I move the fence alone to all moving chicken tractors. This time it was much easier as I had learned a few tips on handling the mesh. To a novice, the fence seems to sag a little but I am assured that is normal. It certainly did not hit the power output of the fence too much. We got a few step in fiberglass posts and we felt happy, but that is probably over-engineering. Very happy with product and pre-purchase support. Certainly received value for money. Will purchase again from Premier 1, probably very soon.